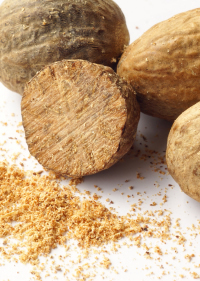 What is Nutmeg Oil ? Nutmeg essential oil has a spicy, nutty pleasant aroma. It is steam or water distilled from the pressed dried large seeds from the tree and is clear or pale yellow in color. 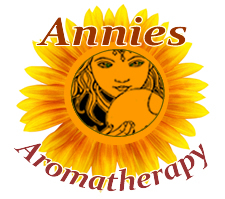 Nutmeg essential oil is a warming oil with non irritating effects that some other spice oils have, so it is especially good in massage oils for sore or tired muscles and on the abdomen in an ointment blend for stomach aches. It is used to aid digestion, and used in perfumery as a fixative for citrus oils. It blends well with geranium, clove, orange, clary sage, petitgrain, and rosemary. Combine with rosemary and eucalyptus in a sore muscle blend that is good in rubs, baths, or sprays.